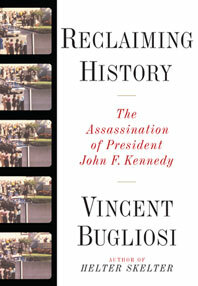 For fifty years the truth about the assassination of President John F. Kennedy has been obscured. This book releases us from a crippling distortion of American history. 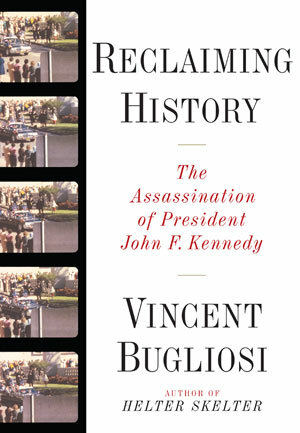 There have been hundreds of books about the assassination, but there has never been a book that covers the entire case, including addressing every piece of evidence and each and every conspiracy theory, and the facts, or alleged facts, on which they are based. In this monumental work, the author has raised scholarship on the assassination to a new and final level, one that far surpasses all other books on the subject. It adds resonance, depth, and closure to the admirable work of the Warren Commission. Reclaiming History is a narrative compendium of fact, forensic evidence, reexamination of key witnesses, and common sense. Every detail and nuance is accounted for, every conspiracy theory revealed as a fraud on the American public. Bugliosi's irresistible logic, command of the evidence, and ability to draw startling inferences shed fresh light on this American nightmare. At last it all makes sense.